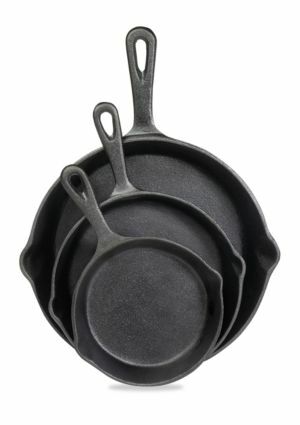 Cast iron skillets are fabulous in the kitchen and now you can upgrade to a set of three for only $14.99. Check out this awesome doorbuster deal going on at Belk.com! Save big on this 3 piece cast iron skillet set which is normally priced at $50.00, but has been marked down to only $14.99. If you have a Belk near you, you can save on shipping; however, if you are like us and don’t have one near by, you’ll need to either pay shipping on this order or stock up on goods so that your total reaches more than $49. Free shipping is available on purchases after that threshold is reached. Want to save even more? Shop through your TopCashBack account and you’ll capture 4% cash back on your purchase. Don’t have a TopCashBack account? Use our referral link to sign up and start saving today!